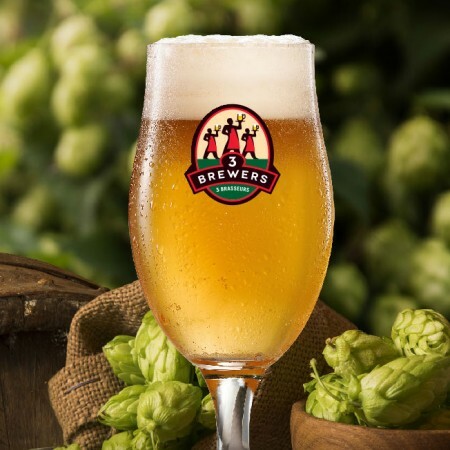 MONTREAL, QC & TORONTO, ON – Brewpub chain Les 3 Brasseurs/The 3 Brewers has announced the return of its annual fresh hop ale. Known as La Belle Récolte (“The Beautiful Harvest”) in Quebec and The Harvest Ale in Ontario, the 6% abv golden ale was brewed using Triple Pearl, Chinook, and Cascade hops from Houblonnière Lupuline for the Quebec market, and Chinook hops from Bighead Hops for Ontario locations. A Canadian interpretation of a classic American Pale Ale brewed with freshly harvested Ontario hops. This year we focused our attention on one particular hop variety: Chinook. Single-hop beers’ purpose is to showcase the unique flavours the hop has without blending it with several other hop varieties. Expect bold flavours of citrusy-pith and resinous pine, and because it is fresh, we will be showcasing the hop in the purest form. La Belle Récolte/The Harvest Ale is on tap now until November 21st at all Les 3 Brasseurs/The 3 Brewers locations in Quebec and Ontario.